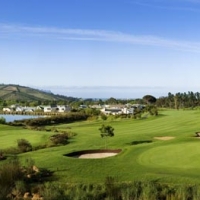 We have to concede that our location at Rozendal is champion, particularly if you are a keen golfer with a penchant for playing a few rounds in wine country. 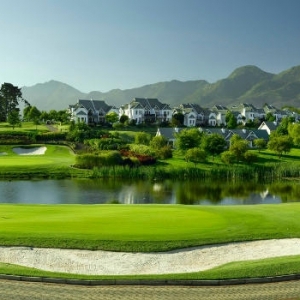 Who would scoff at golf in the vineyards, followed by Chardonnay, Cabernet or Sauvignon Blanc at De Zalze, Stellenbosch Golf Club, Erinvale, Pearl Valley, the Strand Golf Club or Devonvale? When you want to design one of the top golf courses, you call in the best. 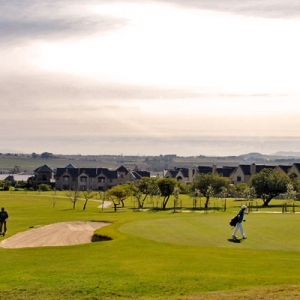 That is why Peter Matkovich (designer of Leopard Rock, Arabella & Pinnacle Point) was commissioned to create a golf course on which champions can play. This is 300 hectares of parkland holes challenged by water features and the interloping presence of the Blaauwklippen River with its line of Oak trees. This is a beautiful place to tee off followed by gourmet pleasure at its celebrated Terroir restaurant. What more could you ask for? This is the grandfather of Golf Clubs, having celebrated its centenary in 2004. Its 18-hole course has been played by some of the best at the 1999 South African Open and 5 South African Masters tournaments. When you’re teeing off at the foot of the Helderberg Mountains, it’s hard not to be inspired to play your best game yet. When Gary Player has been instrumental to the design you know it will be a golf course destined for greatness. 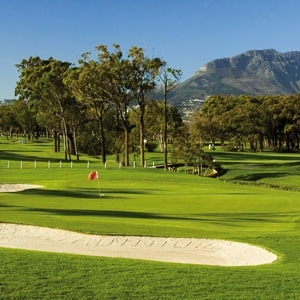 Couple that with views of the Hottentots Holland and Helderberg Mountain ranges and its 18-hole experience, its’ no wonder that the best have teed off here at the World Cup of Golf and two South African Airways Gold Open Championships. 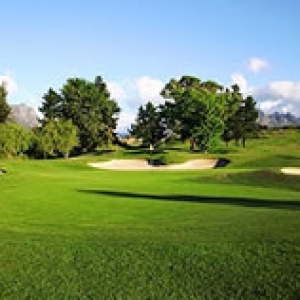 Pearl Valley Golf Course has notched up so many accolades it seems to be in an Oscar-winning league of its own. Jack Nicklaus applied his design vision to it, and its two signature holes – the 4th and 13th, have become legendary. The margin for error is almost zero on the 4th hole, as crossing the creek three times is par for the course here. An early tee-off is the way to go on this 9-hole course to avoid the afternoon winds. Compared to its illustrious counterparts, we love the fact that it is described as a friendly and open golf course. Designed in 1994, it’s not the new kid on the block, but it is still a relaxed course to play. Devonvale we love for its water conservation principles. It seems we aren’t the only ones, as it received the LIA Environmental Management Water Conservation Trophy. It is well known for being a beautifully designed 18-hole golf course, a claim that Ken Elkin can take credit for.